and the International Low Flutes Festival. The small DEF Chamber Choir began in the fall of 2011 and performs as a true chamber ensemble without a conductor. Members of both groups are selected through an audition process and include professional flutists, music educators, college students, and community musicians from the Phoenix metropolitan area. The ensembles have collaborated with other organizations for concerts and also provide community service programs. 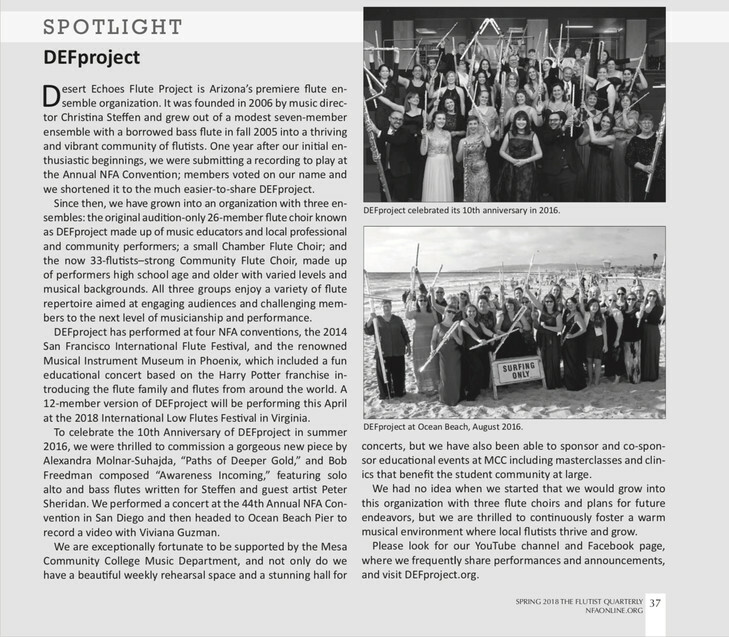 The DEF Community Flute Choir was established in 2016 and brings together flutists of varying levels (from high school through professional) without audition to enjoy playing music together. DEFproject and MCC have also co-sponsored many educational events featuring members of DEF and renowned guest artists. 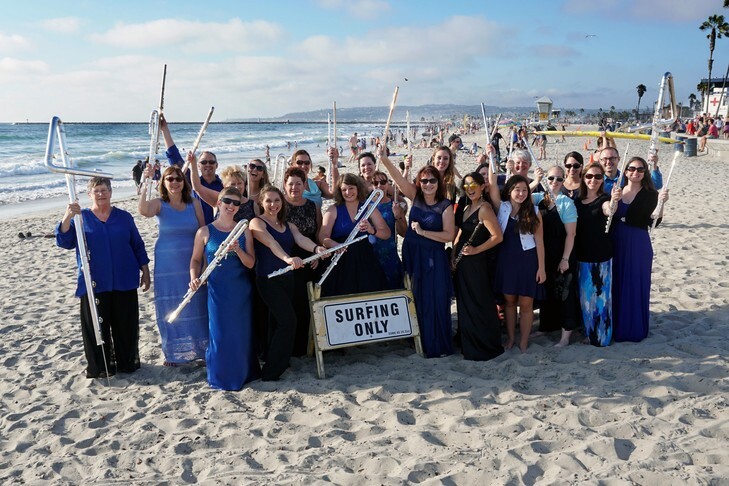 DEFproject at Ocean Beach for National Flute Association Convention 2016.